For much of China’s modern history, the area around Tiananmen has been the political epicenter of the Chinese nation. 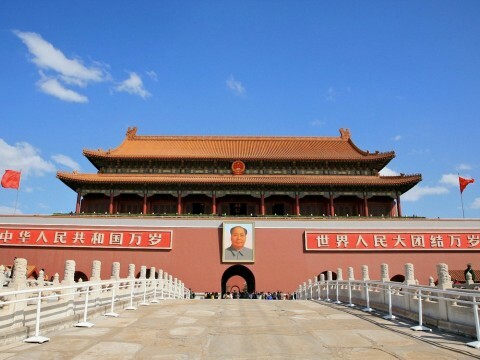 It is the beating heart of Beijing and the stage for some of history's most dramatic moments. This walk and discussion will take us through Beijing’s past from its days as an imperial capital through the founding of the People’s Republic of China in 1949 and down to the present day. During this two-hour walk, we’ll visit the Beijing Urban Planning Hall (a fascinating museum in desperate need of a catchier name!) and explore Tiananmen Square. Along the way, we’ll also discuss the political significance of Tiananmen, the events which have made Tiananmen Square famous around the world, and the ongoing evolution of Beijing from imperial capital to a modern megalopolis. 200 RMB (160 RMB for members of The Hutong) includes all guide fees and admission tickets.